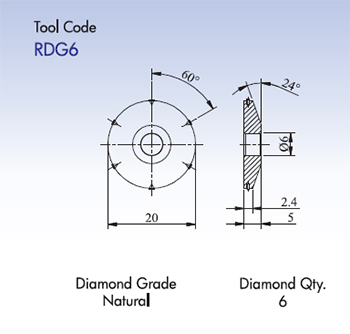 These Roller Dressers are as good as multi diamond tool in which row of diamonds are fitted into the circumference of roller bodies at a regular distance apart. 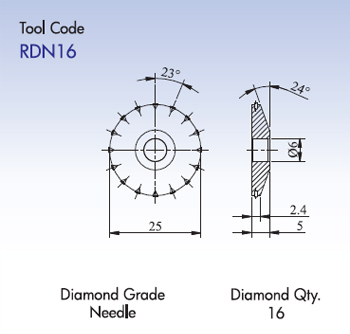 After one row of diamonds become flat / worn, by turning the roller further new tips are used for dressing, thus ensuring clean equal dressing. 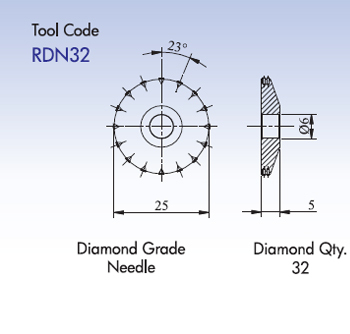 A special process is used to select the Needle diamonds & Natural diamonds for these type of roller dressers. 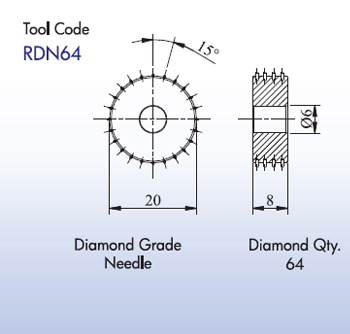 Relatively small diamonds are used. 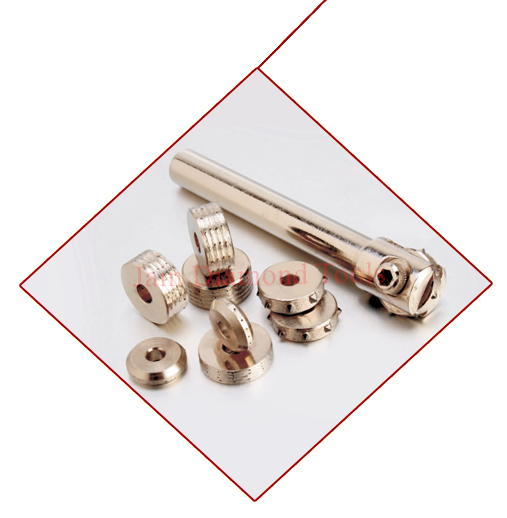 These roller dressers are sufficient to cover the whole range of wheel dressing operation. 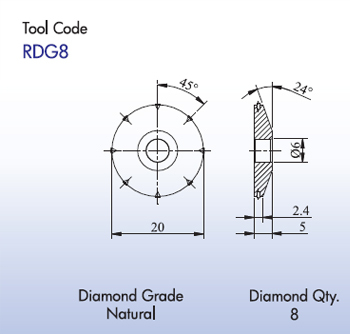 Use plenty of coolant to increase the tool life. 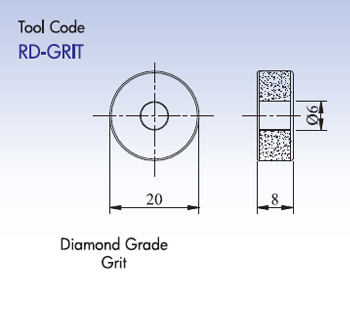 Depth of cut should not exceed more than 0.01to 0.03 mm.